Whose grief is more intense, the widow’s or her adult children’s? Anna Farrell’s husband died while playing a round of golf last year. To cheer her up, her children Jonathan, a journalist, and Sophie, a designer, and their spouses send her off on a South African holiday, where she meets and beds another tourist, Lewis Masters, the divorced owner of a chain of upmarket spas. Anna is loath to admit her indiscretion to the kids, but Sophie arrives for some coddling after she spies her hubby canoodling with her best friend, and the secret is soon out. Jonathan is startled to learn that his mum’s lover is under police investigation for the stabbing murder of an employee who had contacted Jonathan about spa treatments that she claimed had caused five deaths. But when Jonathan goes to a hotel to meet her, she’s lying dead in the tub, her safe is open and the files stored on a memory drive are missing. Marriages past and present come under scrutiny—Jonathan and his wife are only recently reconciled, while Sophie is naturally on the outs with her husband—and almost nobody, not even Anna, is best pleased about her quickie entanglement. The police plod along, and at length, on the 30th anniversary of the spas’ opening. The murderer is revealed with Lewis’s son, ex-wife, staff and celebratory guests in attendance. 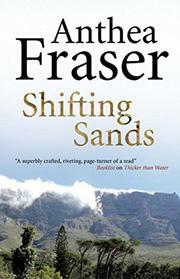 The romances, which are more interesting than the murder, make for a modestly involving read characteristic of Fraser’s output (Unfinished Portrait, 2010, etc. ).